I led a workshop over the weekend at the Christian New Media and Awards Conference in London. My topic was “Online Theology”: can we “do theology” online? What are the advantages of doing theology via blogging and microblogging? What are the limitations? I also asked this: what sort of disciplines and skills should we embrace for doing online theology well? 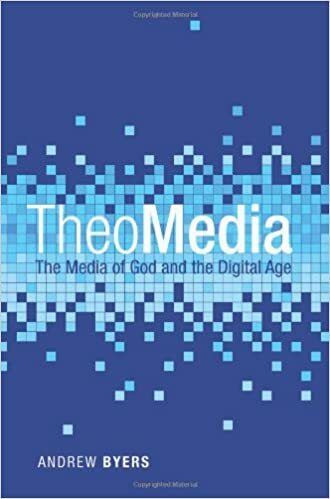 The issue strikes me as massively important because theology is massively important and because digital media is becoming more and more integrated into our daily (hourly!) lives. 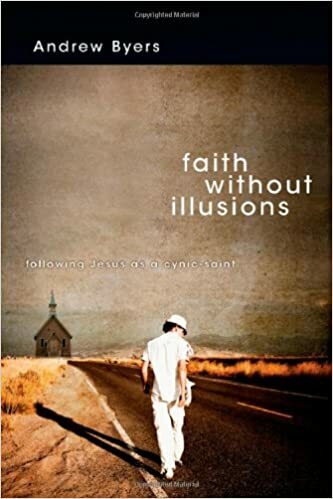 Normally I do my writing on media-theology at www.BigBible.org.uk, but since some of those readers attended the conference, I thought I would open the conversation up here at Hopeful Realism. This noble invention is to be the means of extending civilization, republicanism, and Christianity over the earth. It must and will be extended to nations half-civilized, and thence to those now savage and barbarous. Our government will be the grand center of this mighty influence…. The beneficial and harmonious operation of our institutions will be seen, and similar ones adopted. Christianity must speedily follow them, and we shall behold the grand spectacle of a whole world, civilized, republican, and Christian…. Wars will cease from the earth. Men “shall beat their swords into plough shares, and their spears into pruning-hooks’ … then shall come to pass the millennium. Such idealistic, florid language is also used to describe the Church’s use of the Internet. Beware. But also, let’s beware of wholesale negative assessments as well! So “theology blogged” is more just and equitable than “theology booked,” as the logic of the quote goes. My questions for this blog post for our dear readers is this: should theology done through the media format of a blog be pitted against theology done in the traditional formats of books and academic journal articles? Or can they be complementary? Does one trump the other? The working definition of ‘theology’ that I work to, as an antidote to my academic background, is ‘stuff people think about God’. Thus, theology is people’s thoughts – blogged, booked, YouTube-ed or scrawled on the walls, and each can be brought into dialogue, though a degree of translation may be required. To deem one medium as superior or incompatible with another is to dismiss the thoughts of those unable or unwilling to use a certain medium to convey them, or even those for whom the use of a certain medium would be inappropriate for what they have to say. I think that theology can be done in both arenas. Yet I think that both have their distinctive flavors and services. I think that blogs are much more personal, have a more conversation based style, usually a blog is on the level of its core readers, and it is a place for heuristic learning and writing (I’m pretty sure I picked that up from you or Busby). I think the academic side, where it is booked, published, placed in Journals, presented at conferences, and so forth is also very helpful but less accessible. 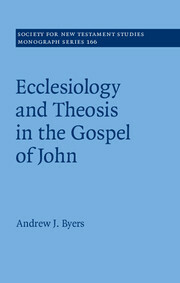 At this point the readership is often assumed to be at the same level as the writer (top tier of Theology). This is not heuristic pastoral writing, but presenting new theories due to the skill sets you have developed. This is of immense service because it grasps at truth with as much veracity as the intellect can muster and results are rigorously vetted by a system already in place. I think of how within the past century or two the wealth of A.N.E texts has led to revolutions in how to understand the OT, Creation, Poetry, and Covenant to name a few. These changes started in the academy and were booked, journaled, and published first. Both have a place and they overlap somewhat, but I think they each trump one another in certain areas. A blog has little to no regulation while a Journal has quite the regulation, a journal is not accessible while a blog is very accessible. As Luke said, blogs are more personal and conversational, and I think that actually makes it harder to blog theology. Blogs (at least to me) are personal views on life…they are the authors opinions. While theology done in books is more cohesive, it tends to be collective and have depth. The challenge for blogs is to offer that depth and to try to speak in a collective voice rather than in a “this is my new/origianl thought” voice and have it make an impact in a sound byte world.